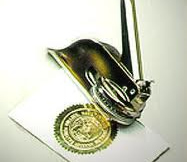 Pak Mail Calhoun offers on site Notary services. Per Georgia's notary regulations, our standard notary fee is $4 per notarized signature. Additional fees may be charged if a notary signature page needs to be created.